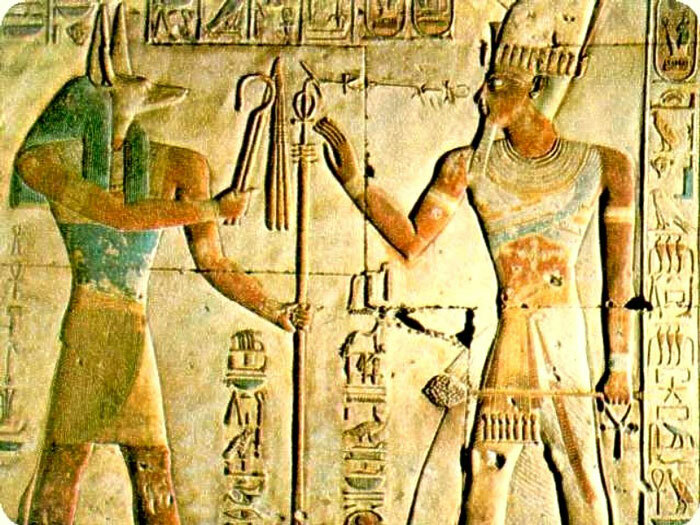 King Khufu ruled Egypt for about 23 years from 2574 to 2550 BC, during the Fourth Dynasty of the Old Kingdom. 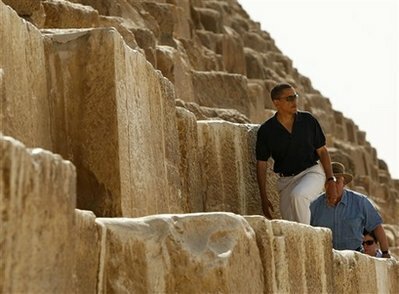 He was the owner of the Great Pyramid at Giza, which is considered to be the first and only complete Wonder of the Seven Wonders of the Ancient World that still exists. The first courses of the stone structure were built around a low mound in the middle of the area that was left unleveled and was incorporated into the structure of the pyramid. The mound acted as a core for the pyramid and reduced the amount of masonry required. 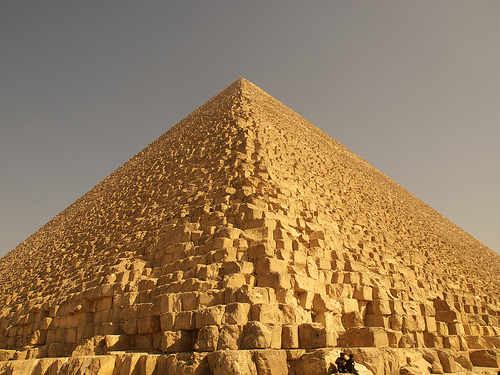 The original entrance of the pyramid is 16.8 meters or 55.1 feet above ground level and opens on the north side, so as to face the Circumpolar Star, where the soul of the king would dwell in heaven. Each side of the pyramid's base was originally about 230.38 meters or 755.65 feet long and built of 210 courses, of which only 201 still exist.